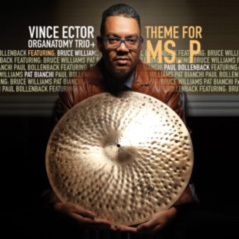 Theme for Ms. P. is a swinging, soulful, recording from start to finish! – Sheila Anderson, author and on air host, WBGO, 88.3FM, Newark. August 9, 2019 – Jazzy Jazz Festival 2019, Medgar Evers College, Brooklyn, NY 7PM.